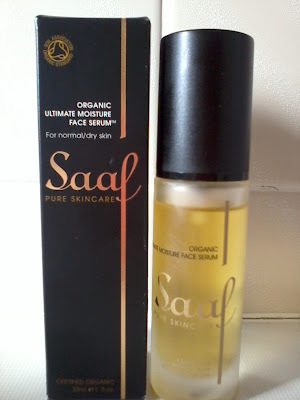 Saaf Organic Pure Skincare kindly sent me a product to review. For those not familiar with the brand Dr Mah Hussain-Gambles is the founder who has created skincare which uses 100% naturally derived ingredients, certified organic, Halal, cruelty free, vegetarian and vegan, GMO free and alcohol free. The range is made up of facial and body care products. I am going to be up front from the start this is a high end luxurious brand with prices to match. I personally think it may be a range which is attractive to a mature skin type (I do fall into this category). 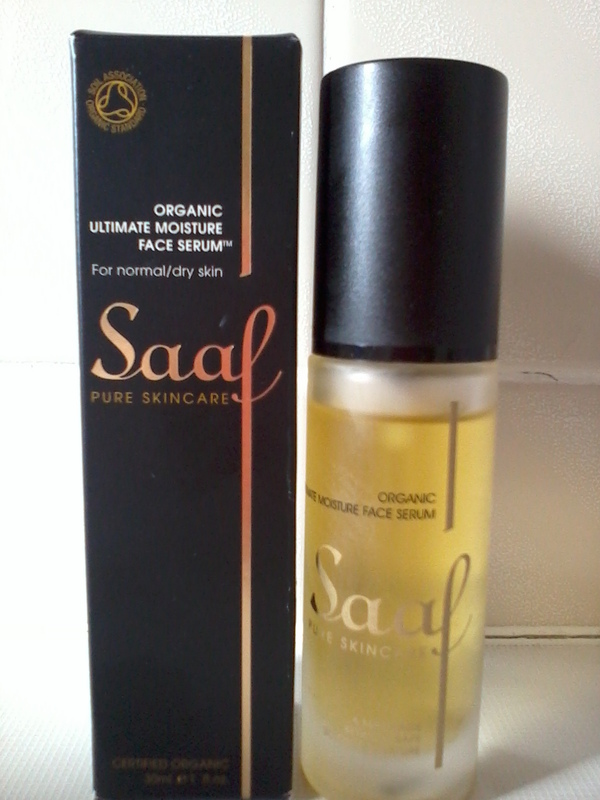 I discussed my skin needs with Saaf and was sent the Ultimate Moisture Face Serum to review. This is a product designed for day and night use. It is ideal for those that suffer from dry skin, prematurely ageing, mature or sagging skin, sun damaged skin and Rosacea and hyper pigmentation. The ingredients are Rosehip, Safflower, Vitamin E, Pomegranate, Ylang-Ylang and Geranium. So what do I think? The packaging is sophisticated and the pump bottle dispenses the appropriate amount of product. I find within a few minutes my skin has absorbed the serum and any excess can be wiped away with a tissue. You can use this as a daily moisturiser but I prefer to use as an overnight treatment. I find one or two pumps are sufficient. By morning my skin is soft and hydrated with no greasy residue or visible dry patches. I think my skin is benefiting from the oils in the serum and I see a slight improvement in my complexion. The fragrance is a deep musky scent from the Ylang-Ylang and Geranium. It may not be to everyone’s liking. The Ultimate Moisture serum comes in a 30ml bottle and you only need small amount of product so the serum goes a long way. If you take a look at the first picture it gives an indication of how much I have used over three weeks (minimum application of once a day). If you suffer from oily and acne prone skin you may be interested in the alternative Complexion Boosting Serum. Check out the website for further information and to view the range of products. Have you tried any products from the Saaf skincare range? What did you think? Great review! This is a new brand to me - off to have a look at the Complexion Boosting Serum which I think may be more suited to my skin.